16 years after the Heinz Beanz Pizza disappeared from supermarket freezer aisles in 2003, Heinz is bringing back the much-missed blast from the past – including a vegan version. 16 years after it disappeared from supermarket freezer aisles in 2003, Deliveroo and Heinz are joining forces to bring back a much-missed blast from the past, in a new, super-fresh format – including a vegan version. 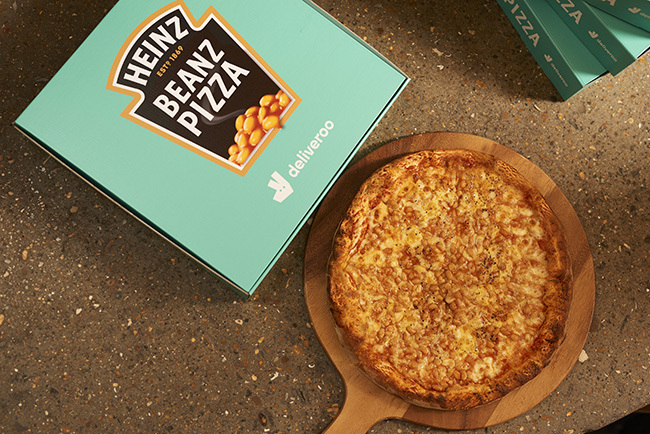 In celebration of Heinz 150th birthday, the company has collaborated with takeaway delivery service Deliveroo to bring back the cult-classic Heinz Beanz Pizza. Since being discontinued 16 years ago, Brits have been desperate to see the iconic pizza return, even launching a change.org petition in 2017 calling for the “childhood favourite” to be brought back. Deliveroo has worked with a network of restaurants across the UK to create a gastronomically upgraded version of the original Margherita and Sausage pizzas, as well as creating a version for us vegans to enjoy. 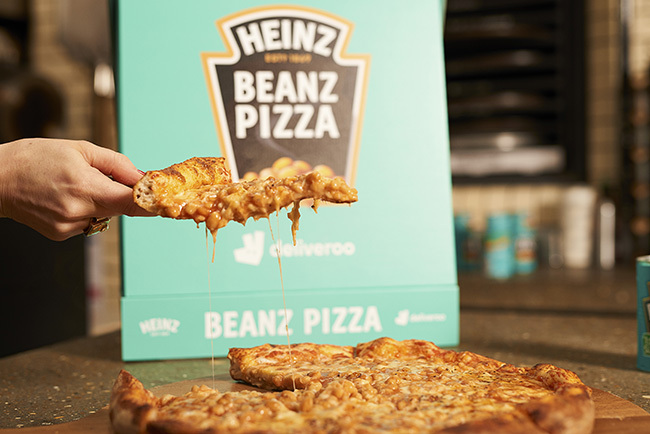 Only 150 limited-edition Heinz Beanz Pizzas will be available per restaurant, whilst stocks last. The pizzas will be available to purchase from Joe Public (London), Pizza Punks (Glasgow, Newcastle and Belfast) and Proove (Manchester, Leeds and Sheffield). The pizzas start at £7.50 in ode to the 75p tin of Heinz Beanz.